Ah, the joy of tea. It is something that many tea drinkers miss out on. It is a feeling of being excited, a feeling of pure elation, of “where have you been all my life?” with each sip you take. Someone commented that sometimes online I sound as excited about tea as a little child does about toys or other wonders. And why not? Tea is exciting. 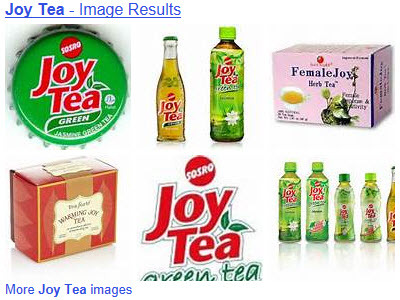 Tea inspires joy. We all have a tea that we turn to when we want that certain flavor. It could even be the only tea we drink, enjoying that familiar flavor like the feel of our favorite sweater (old and a bit stretched out of shape) or the comfortable presence of an old friend. I have several such “old friend” teas, each a black tea with an Assam base. I steep them up fairly strong and add a splash of milk and some sweetener. Then, I sit back and experience the joy of that rich, malty flavor. It tingles every tastebud and warms all the way down, swallow by swallow. You visit that tea shop, try a sample, buy some, and feel that tingle. Or you read about a tea online, possibly a review on one of the many blogs out there, get excited, order a sample, it arrives – time for that happy dance. You steep some, and the tea’s aroma and flavor live up to your expectations. That is pure joy. 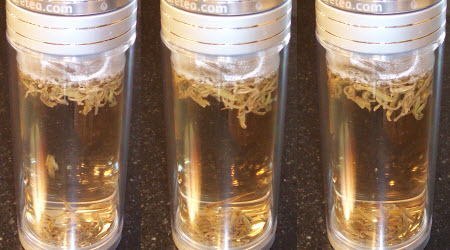 If it’s a tea that is full-leaf or even a blooming tea, the very experience of steeping it can add to that joy. You heat the water, put some leaves in the steeping vessel (hopefully one where you can watch the process), add the water, and spend the time it takes for that “magic” to happen enjoying the “joy of the leaf” (instead of the “agony of the leaves”). Then you get the joy of sipping and savoring, taking your time, a moment suspended – apart – all to yourself in the midst of a life that could be totally centered around the needs and demands of others at home and at work. There is a tea vendor who specialized in small-batch hand-flavored teas. She and her teaspoon inspired the company’s name, and they work as a team to stir up taste combo sensations. There is a charity program called Tea for Joy, which raises money to help send kids to camp. They do this through tea parties. The next one for 2014 will be Saturday, May 3rd starting at 1:00pm at the Hilton Garden Inn Lewisville in Lewisville, TX 75067. By the way, the “Joy” here was a baby who lived a brave but very short life with spina bifida, inspiring those around her. Disney World offers a “Joy of Tea” menu at China Pavilion – Epcot in Orlando, Florida. Don’t expect any genuine tea experience – more of a cartoon version. It’s ice creams made with teas and other flavorings often used in teas, 4 real teas served hot, bottled teas, iced teas, some alcoholic beverages with and without tea in them, and some Chinese-sounding foods (eggrolls, pork buns, etc.). May all your teas fill you with joy!